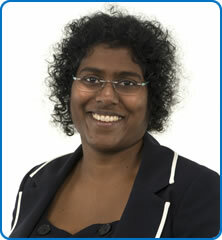 Miss Anusha Edwards is a kidney transplant surgeon. She performs operations on patients with kidney failure including kidney transplantation and surgery to allow both haemodialysis and peritoneal dialysis. In addition, she performs keyhole (laparoscopic) surgery to remove kidneys for living donation. She has a keen interest in the education of medical staff, patients and the local community, especially in the field of renal transplantation. Miss Anusha Edwards is the Specialty Lead for General Surgery and a Fellow of The Royal College of Surgeons of England, and a member of the British Transplant Society and British Association of Endocrine and Thyroid Surgeons.